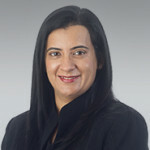 Global business attorney Vinita Mehra will be speaking at “Business in India: An Insider’s View,” presented by The Ohio State University’s Center for Operational Excellence on Friday, March 8, starting at 12:45 p.m. Registration begins at 11:30 a.m. with lunch following and optional networking starting at 5:00 p.m. The half-day seminar will focus on India, a country with a developing economy that has weathered the recent economic storm. Kegler Brown and the Center for Operational Excellence invite you to this valuable program, which will have insights from a group of experts. Please register through The Ohio State University Fisher College of Business. There is no cost to attend this seminar.